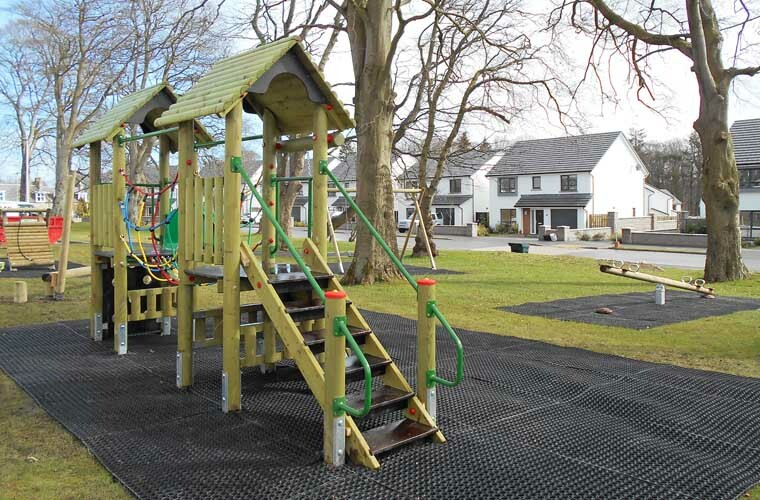 86 Grass Safety Mats fitted and laid under the equipment to EN-1177 European Safety Standards. 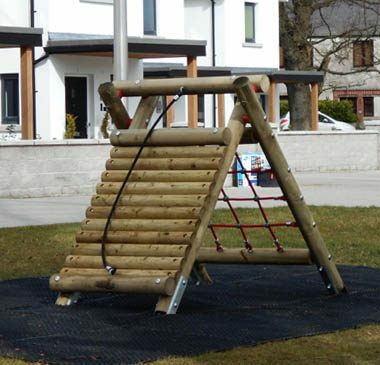 These ensure that their is minimum ground erosion around the play equipment and also reduce the risk of injury should a child fall. 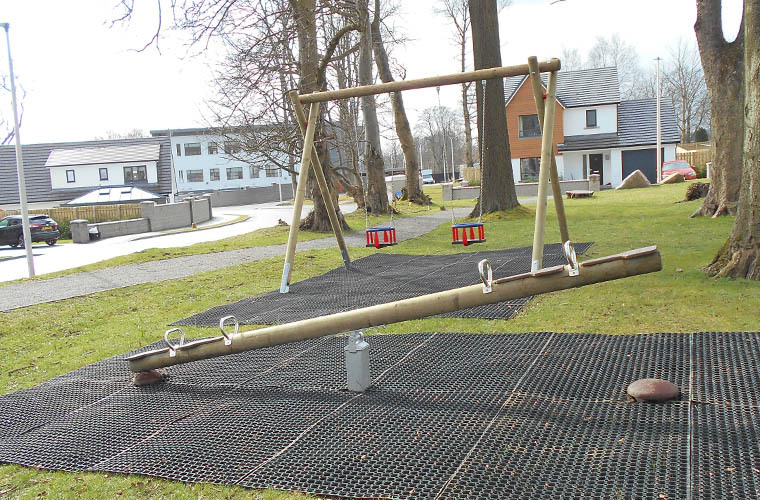 The grass grows through the mats and over time the mats can not longer be seen. 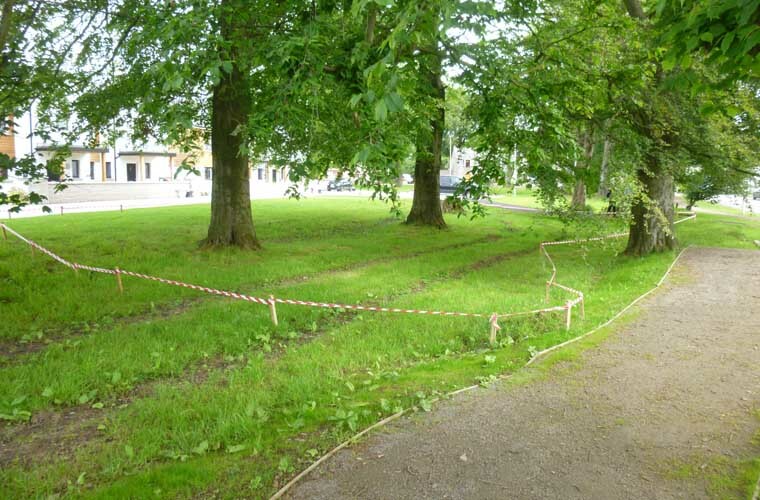 The grass can be cut over the mats as normal. 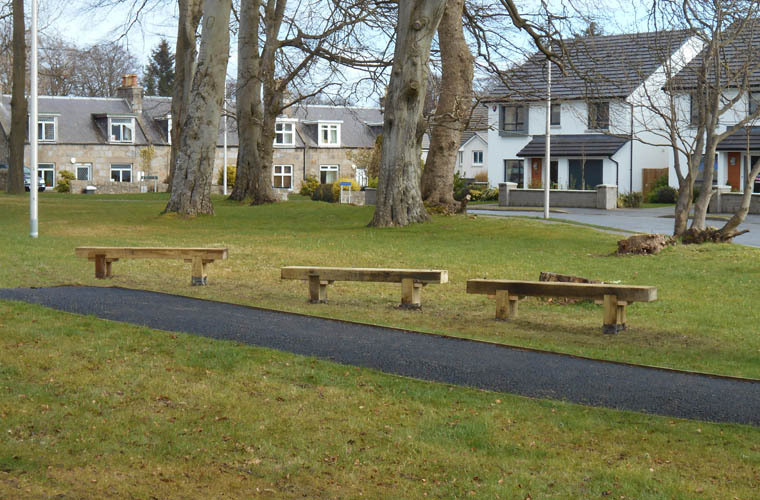 Our twisted balance beam and the benches have heat-sealed bitumen sleeves fitted on the legs to reduce rot at ground level. 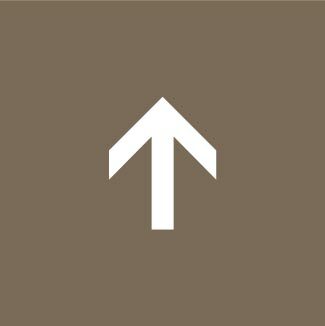 All other products have metal feet. 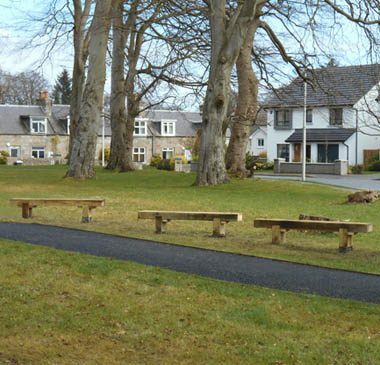 All timbers are from sustainable managed sources with suppliers - Chain of Custody certified. 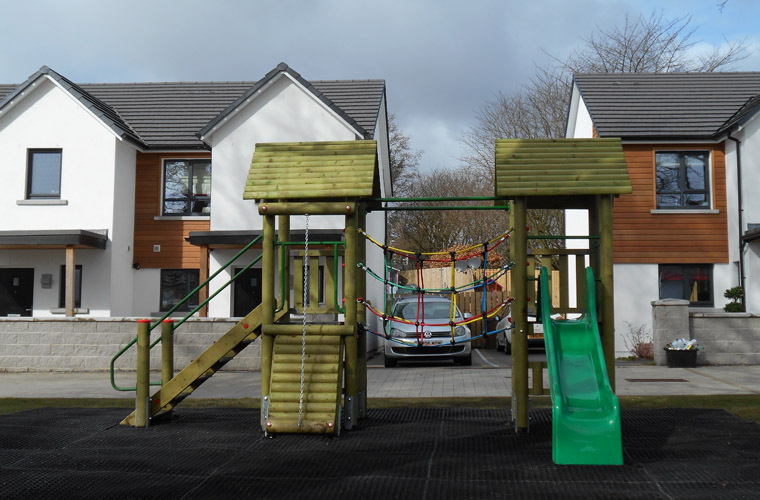 New Housing Development Play Area Case Study – the award-winning Stoneywood housing development by Dandara is located within the historic and picturesque Stoneywood Estate, Aberdeen. 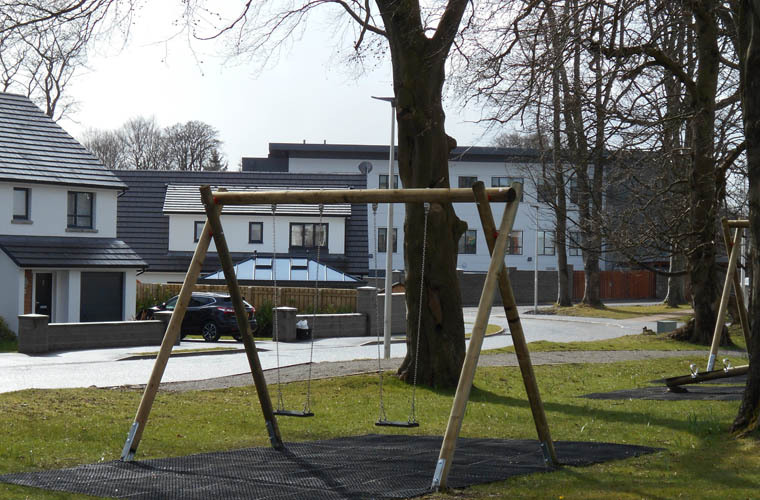 Featuring a superb range of studio apartments, 2, 3 and 4 bedroom homes the development is located just 5.5 miles from Aberdeen City Centre. 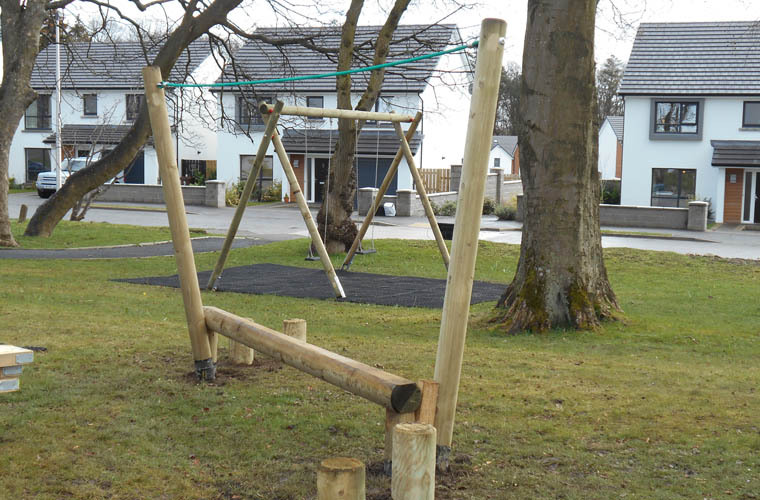 The clients were looking to have a play area situated on an attractive green space centrally located within easy access from all the new homes around it. 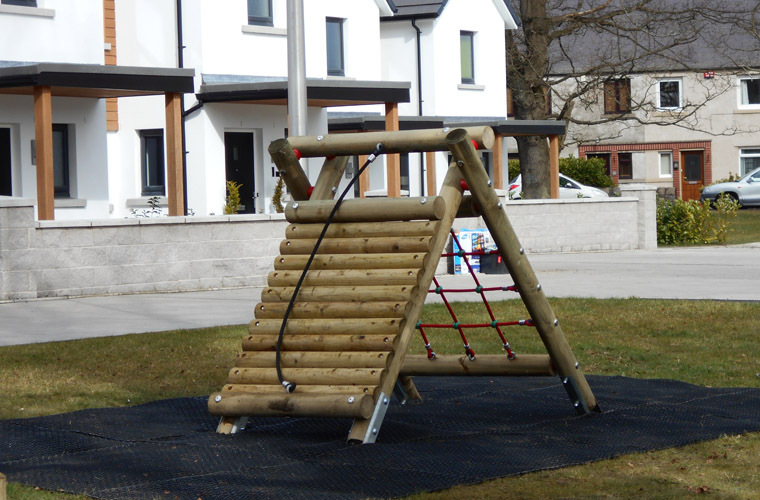 The play equipment was to blend well in to the surroundings and our timber products would fit the brief perfectly. 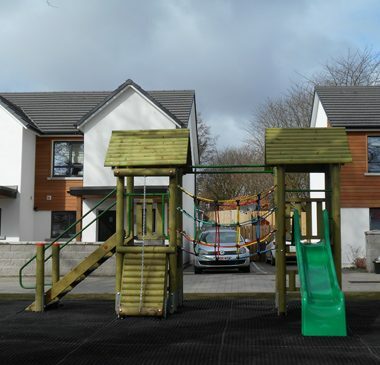 A selection of products were installed to suit a wide range of ages and abilities. 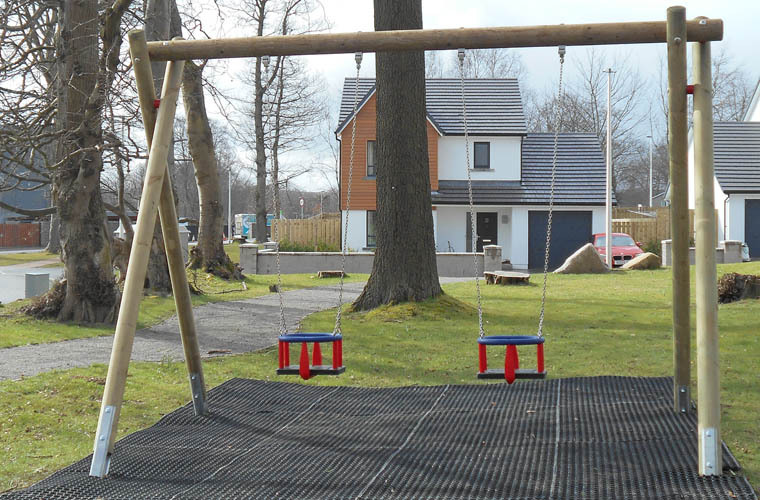 Toddler swings would be suitable for the littlest children and the timber benches were ideal to sit and enjoy a seat while the children play.